You may think that SEO cannot be cheap, however this is not true. There are full service SEO companies and there are cheaper SEO companies which are cloud based. The difference between the two is that cloud based SEO companies reduce their costs by not having physical offices, sales staff and reception thus passing the savings directly to you. If you are interested in cheap affordable SEO services, and would like to bring your website to first page of google, then don’t wait around. 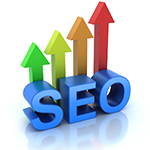 Order now to benefit from our SEO services. No contracts, no hidden fees! Cancel your service with us anytime you wish.